Halifax Canoe Club is an active and family orientated canoe club. 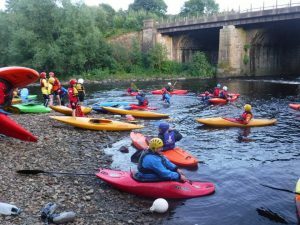 We run coached sessions & trips away all year round, we also offer beginners courses on the river or in the pool depending on the time of year (see events list for more details). 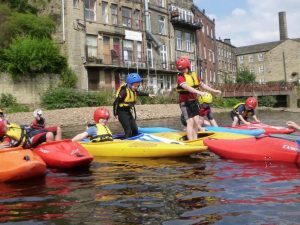 The multi-ward winning club is based in the centre of Sowerby Bridge, where we make good use of both the flat water and man-made white water course on the River Calder. Look around our website to find out more . . . or contact us if you need specific information. 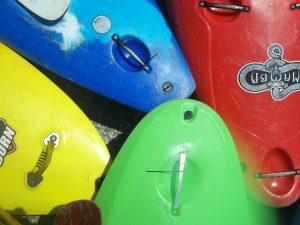 Click Here to Take Our Paddling Survey! Course and trip bookings coming soon! Halifax Canoe Club is one of the top clubs in the country. 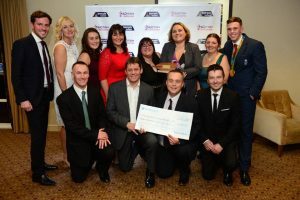 Twice in recent years we have been named as British Canoeing’s Club of the Year. We are delighted and honour to have won this award most recently in November 2016, and previously in November 2011. A huge well done and thank you to everyone at the club that makes it such a the special club. Warning: Puzzle Weir Collapse – Puzzle Weir upstream of the club has collapsed further in the last few weeks and now poses a serious hazard to paddlers – see details. 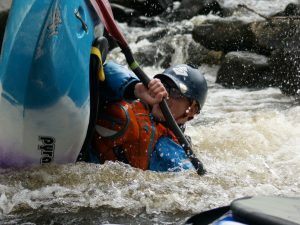 Interested in getting into canoeing? Our taster sessions are so popular that they’re full! 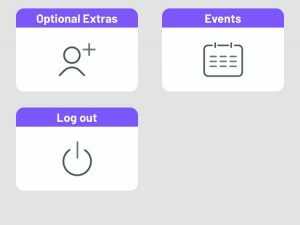 Our membership app is now available! Summer Paddling Courses with Halifax Canoe Club! Sign up NOW! Raise money for the club when you shop! 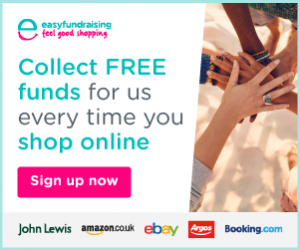 Do your online shopping via Easy Fundraising and earn cashback for club funds – click to find out more!